Anguplas CAMION EBRO DAMM Nº 23 With box Esc 1/86. H0 Mini Cars, Minicars. A superb example of this most sought after model. Superb in every way. Red body with white roof and red interior with shaped spun silver wheels. All 'Monte Carlo' transfers on bonnet and boot present with just a tiny piece of decal '52' missing. MINI MIRA Matchbox Lesney Starsky & Hutch AMX Javelin No.9 red rare Spain Edit. Red AMX Javelin Starsky & Hutch ref. Made in Spain. MINI-MIRA Spain Edition of Matchbox Superfast Amx Javelin Nr.9. Todos los artículos se envían desde las Islas Canarias, España. Mint in box, MIB. Mitsubishi Pajero Mini, red, 1:43 scale. //////////////////////////////////////////////////////////////////////////////////////////////////. /////////////////////////////////////////////////////////////////////////////////////////////////. DINKY TOYS 250 Police Mini Cooper S Coche miniatura colección El estado es Nuevo. Todos los artículos se envían desde las Islas Canarias, España. 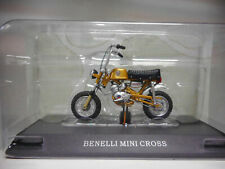 Matchbox Lesney COLLECTOR'S Mini estuche caso Diecast Vintage Original De 24. MATCHBOX LESNEY Collector's Mini Carry Case 24. Original vintage diecast case 1960s. Great example of a Matchbox Mini Case. Three vehicle illustration to lid, white carry handle, two 12 slot trays. Excellent; like new, no rips, clean and no rust to closures or feet CHEAP SHIPPING! UK and Worldwide shipping. We no longer ship to South America, Italy, Israel, Middle East, China, Africa. Please do not bid if you are expecting shipping to these countries/regions. MINI-MIRA Spain Edition of Matchbox Superfast Stretcha Fetcha Ambulance 1971 Nr.46. Stretcha Fetcha Los Angeles de Charlie ref. Made in Spain. Anguplas Camión Ebro Vida Nº 126 Esc 1/86. H0 Mini Cars, Minicars. MINI ALL4 RACING DAKAR 2016. SCALE MODEL 1/43. NEW IN BLISTER. 1:18 Waterslide DECAL. MUY IMPORTANTE. Anguplas PEGASO Z - 207 Nº 6 Without box Esc 1/86. H0 Mini Cars, Minicars. ARTÍCULO EN SU PEANA Y BLISTER ORIGINAL. HASTA 2 KILOS. HASTA 1 KILO. HASTA 0,5 Kilos. TARIFAS RESTO DEL MUNDO. REST OF THE WORLD. ENVIOS RESTO DEL MUNDO. ENVÍOS A PORTUGAL. Anguplas PEGASO BOMBA BOMBEROS Nº 12 Esc 1/86. H0 Mini Cars, Minicars. Anguplas Seat 1400 Taxi Barcelona Nº ESc 1/86. H0 Mini Cars, Minicars. Anguplas Citroen 2 CV Nº 21 Esc 1/86. H0 Mini Cars, Minicars. Anguplas VW Volkswagen nº 38 ESc 1/86. H0 Mini Cars, Minicars. Manufactured in 1/43 scale. IXO RAM469 The item is new in its own plastic box. CHECK-OUT PAGE. Anguplas JEEP WAGON Nº 61 ESc 1/86. H0 Mini Cars, Minicars. Anguplas Jeep Aeropuertos *Follow Me* Nº 116 ESc 1/86. 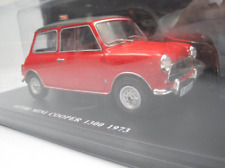 H0 Mini Cars, Minicars.